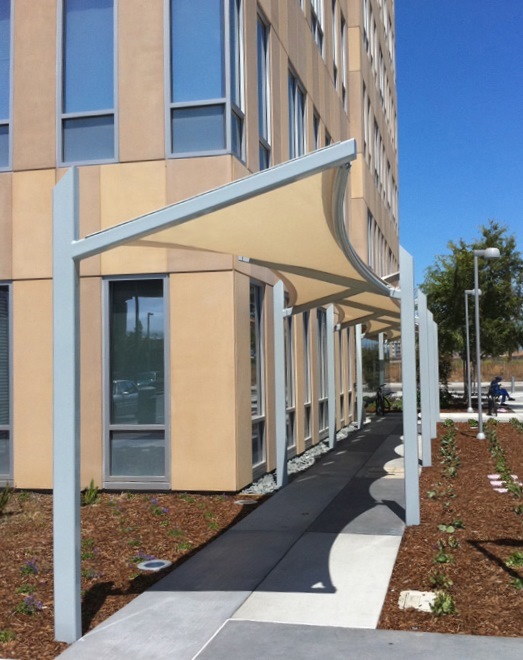 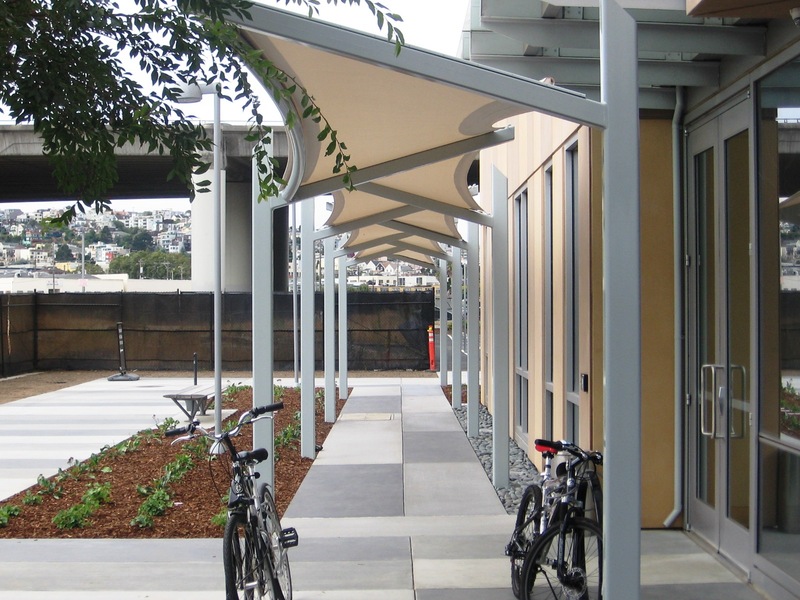 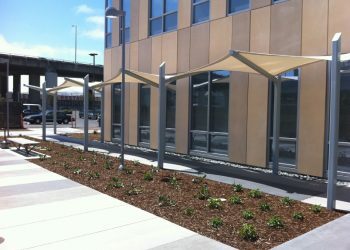 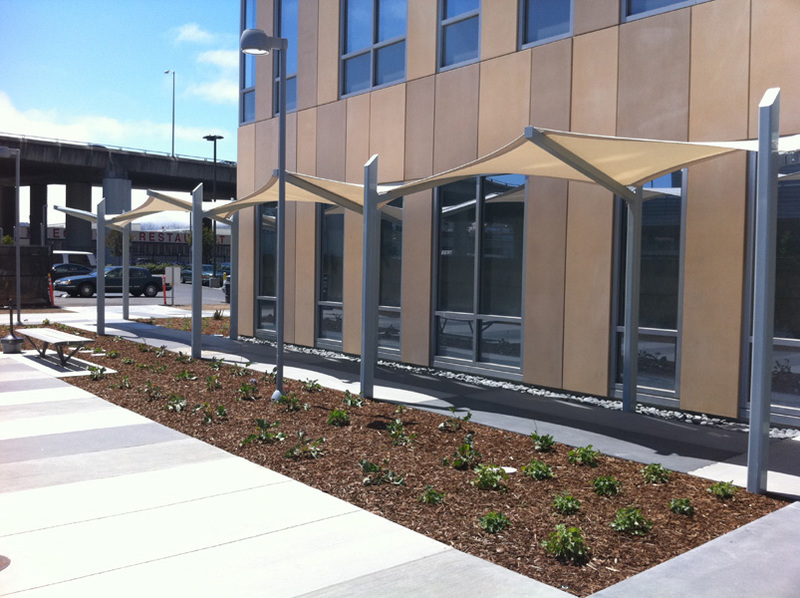 Eide Industries, Inc. was hired by DPR Construction, Inc. to assist with the redesign, fabrication and installation of a new walkway canopy for the University of California, San Francisco Medical Center. 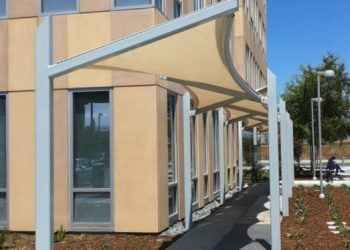 To meet the customer’s budgeted amount of time, Eide Industries was able to complete submittals of drawings, renderings and samples within days of starting the project. 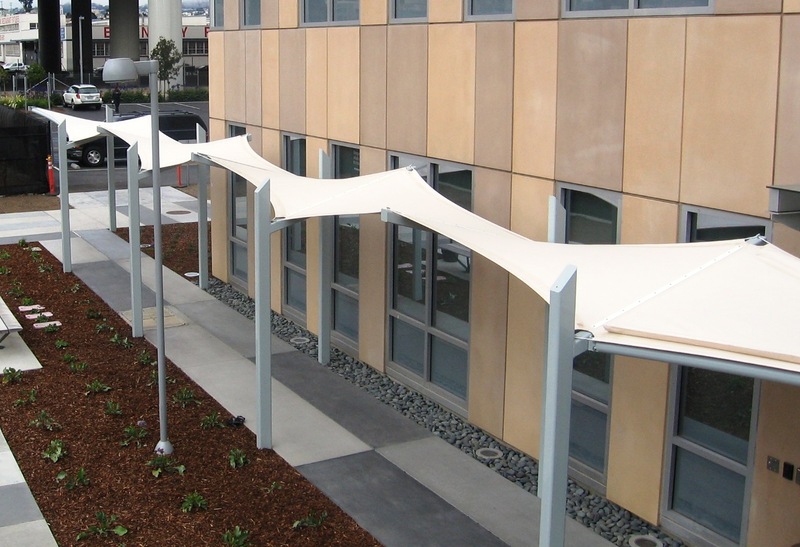 The combined experience and teamwork between Eide and DPR reduced the production time which allowed for a successful, on-time installation. 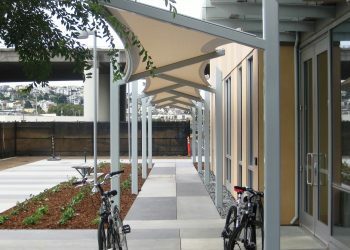 The tensioned PTFE canopy system and powder coat painted framework measures approximately 6’ wide and 80’ long. Rain diverters were designed and placed on the fabric edges near the entrance of the building to prevent water sheeting onto pedestrians.